All physical manifestations have a spiritual counterpart. When I visited Jamestown, Virginia, I saw the wheel of commerce* (in my mind’s eye) stagnant. With clearing, the wheel began to move. Unless this wheel was moving on a spiritual level, the economy in the United States would not. The last time, I checked, however, it was again stagnant. When I looked further into it, I saw it surrounded and impeded by the thoughts of fear attached to it. The thoughts of those frightened about the economy, fears of not getting a job, worries about money and fears of survival are slowing and stagnating the economy. Unless everyone decides to take a stand and release those thoughts, the wheel of economy will stagnate. People have the power to get the economy moving should they decide to take a stand and make a difference. It is imperative for people to take their power of creation back. It is time mankind knew who they were and how powerful they are to make a difference. At the moment, they are giving their power away to the economy and outside events. If they recognized that the power lies within and that they can change the economy with their thoughts and approach to life, the economy would improve. It has to start with you. Don’t wait for the economy to change. Change it. Make a choice to change it rather than be a victim of it. Unless you change your mind about it, it won’t change for you. Are you willing to make a difference? Are you willing to change your mind? Are you willing to change your approach to the economy? The time to change is now if you want the economy to change. If you are worried about money, getting a job, keeping a roof over your head and food on the table, it is time to change your mind about money. I am not saying it will necessarily be easy but it can be easier than you think. Years of programming have stymied your results. You are an extremely powerful being with the ability to create a world suitable for all to live healthy, happy and prosperous lives. The world that currently exists for many is one of limitation and in some cases, extreme limitation. Break through those limitations to create the life desired rather than one of default. Be an example to your children and those around you of power and prestige. I don’t mean someone who is arrogant and overpowering. I mean own your own power. Don’t give in into the illusions surrounding you that have kept you playing small. Your life is at stake! Do you want to live it as a coward? Or, would you like to live it powerfully? Take a stand that your life will be lived as you desire. I am not speaking of greed here either. Greed is one of the contributing factors to the economy taking the turn that it has. Create a life out of integrity. Live the life you were meant to live. Own the job you were meant to do. Do not succumb to leftovers and what is available. Be true to yourself. Make a difference to the world by being true to yourself. It is time everyone took their right place and all took responsibility for the state of affairs that exists in their own life and the residual effect left for others in their wake. You have the power to change the world. Do so by changing your own for starters. Think about every aspect of your life that you sell out, give your power away or play small. Think about how you think. What do you believe? What are your thoughts about your life, your job, the economy and your abilities to have exactly what you want and need? If these thoughts are not optimal providing you the results you desire, then it is time you changed them to thought patterns that will garner you better outcomes. Remember this, that every thought you think today will impact the experiences of tomorrow. If you want a flow of abundance in your life tomorrow, then you had better start thinking abundant thoughts today. If those thoughts are a challenge to change, then ask for assistance. There are professionals who use a variety of modalities who can help. You can ask God for assistance and to be directed to the resources to help you release your sabotaging thoughts, patterns and behaviors as well as ask Him to release them directly. The key is to let go of all that isn’t working and contributing to the life you desire. Your thoughts and beliefs are at the base and they need to elevate to the position of power and having positive impact to attain the life you desire. If you want the wheel of commerce* to move, you have to start moving it! The wheel of commerce is the mechanism by which the economy flows in this country. Every country has one. The peoples of each and every country can effect, either positively or negatively, the wheel of commerce by their very own thoughts about the economy. When the wheel of economy is healed, it moves freely. As it turns, flow occurs. As it stagnates, so does money. Money flows as readily as the wheel turns. If you want more money, you need make sure that you are in flow about money. 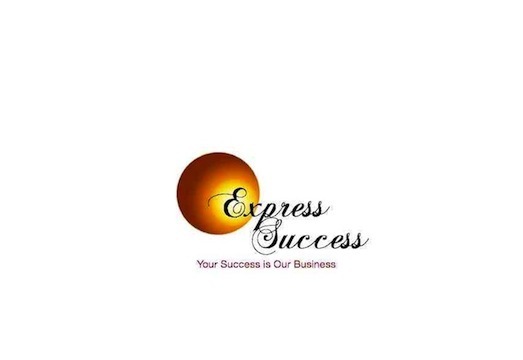 Dr. Joy S. Pedersen, Doctor of Divinity, is a Licensed Spiritual Healer, Certified Spiritual Health Coach, and Founder and CEO of Express Success. For more information see the website.